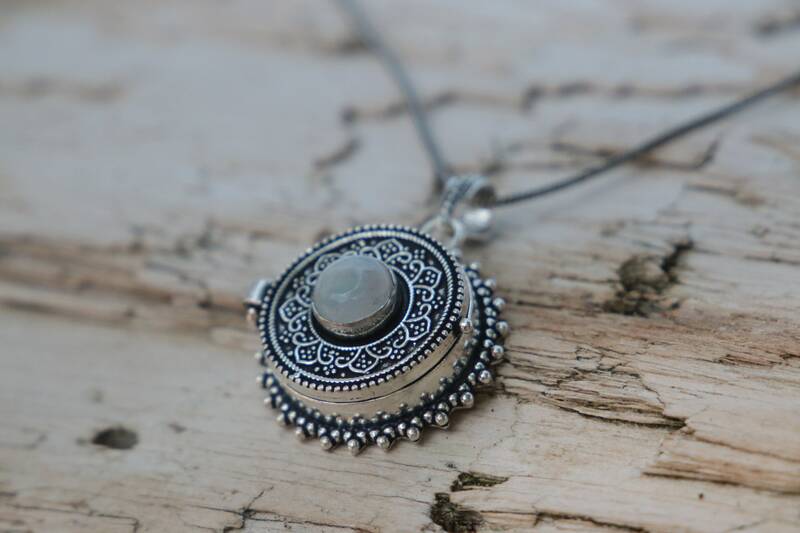 Based on Vintage pill boxes, our handmade stash box necklaces feature oxidised silver plated white metals and a glimmering moonstone, giving them an antique charm. 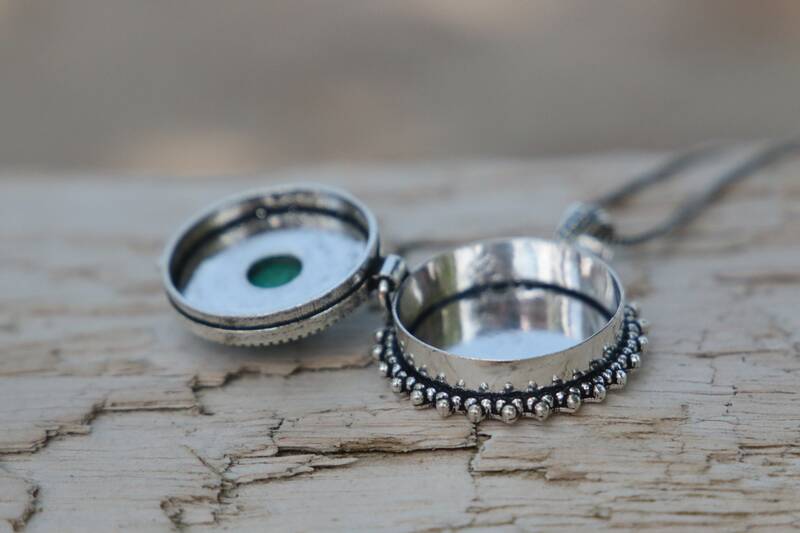 The necklaces open and close and can be used to keep mini scrolls, prayers, mantras, mini crystals, wishes or personal goals in - The possibilities are endless! Great to keep small things safe at festivals or occasions. 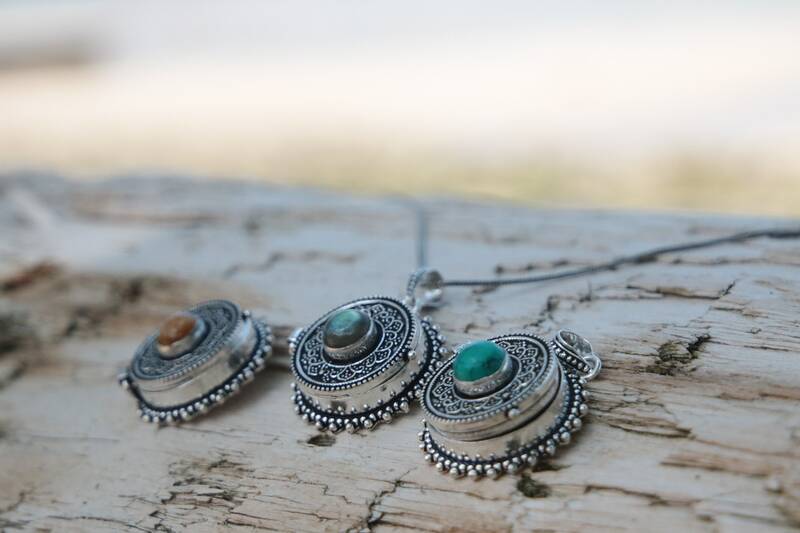 Our Mantra box necklaces are wearable keepsake jewellery and are wonderfully statement and unique! 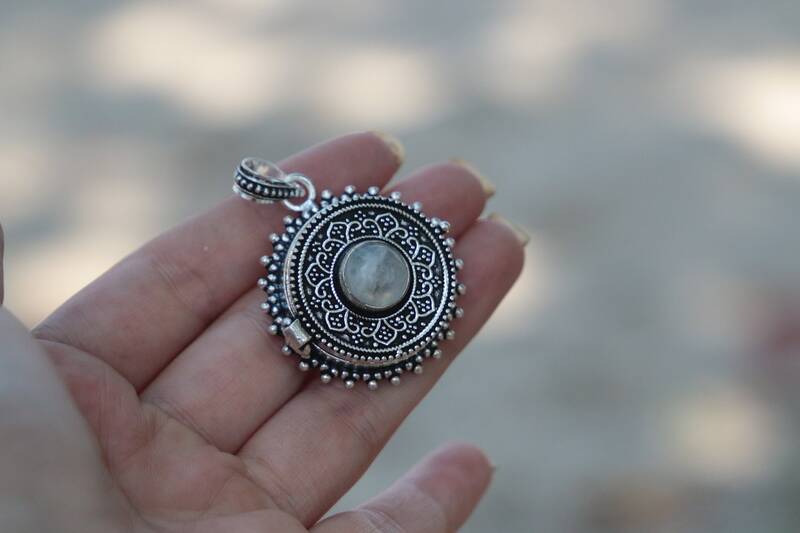 A glittering and iridescent stone of mysticism and magic that carries the energy of the full moon. 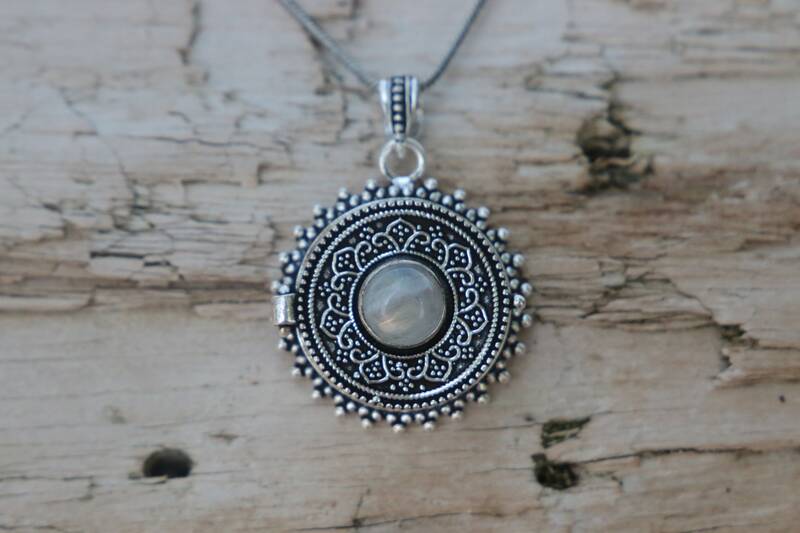 It is used to help calm and relieve stress while enhancing sensitivity and intuition. 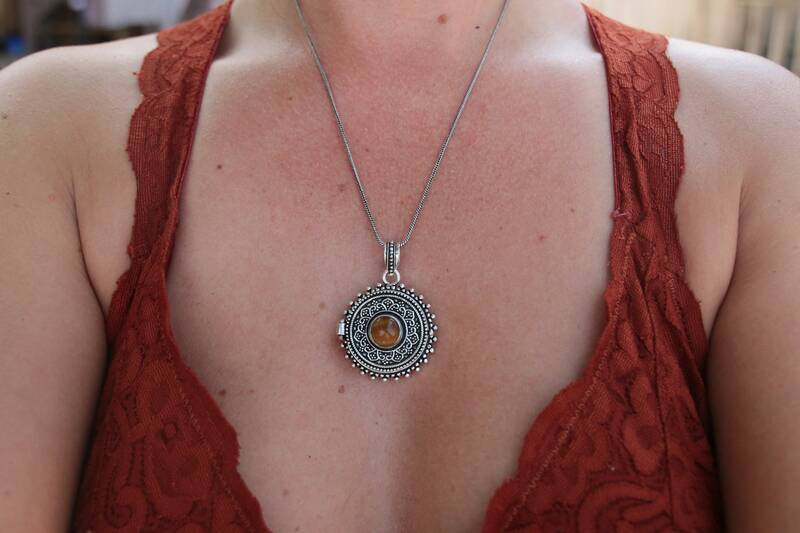 It is also associated with the third eye chakra which brings sight and protection. *Also available in other styles and colours - please see other listings.